This iconoclastic French artist’s work with rubber stamps is for fans of fart jokes, the f-bomb and political satire. 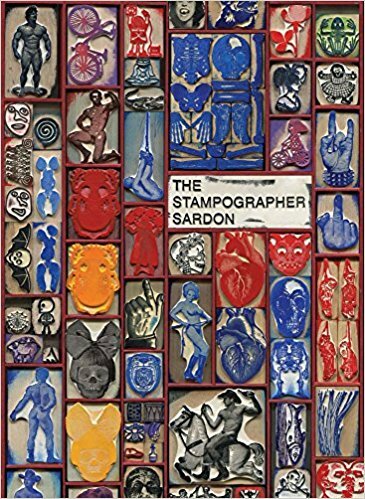 These are evocative images and complex references to art and history, showcasing Sardon’s dark, satiric, antagonistic sense of humor. He considers his stamps “both tools and works of art,” and sells them only to amateurs, not artists, from a private gallery in Paris. Readers not local to Paris are lucky to get a glimpse of his work in this unrivaled art book.